Let me tell you a story about a Frenchman in Sweden. (Cue one of my favourite songs, “Englishman in New York” by Sting). I moved to Sweden in the summer of 2008, to be with my then girlfriend, who is now my wife. I don’t think I realised the adventure I was going to embark on, nor the torrent of emotions I was going to feel through these years. I started to run in order to take care of my weight, but also to take care of my mind. I love running, I love the meditative aspect of it, but I didn’t realise how much I needed the connection with my fellow runners. Until I found parkrun. I was introduced to parkrun by my good friend Petter, who I had met at a playground while taking out my two boys. Petter convinced me to give it a go. 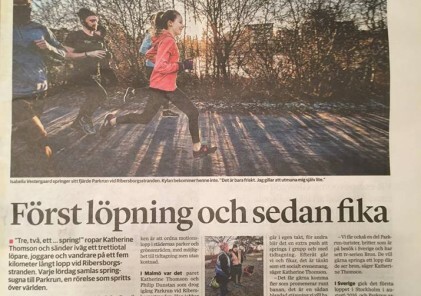 I showed up at my first event which happened to be Orebro parkrun’s first birthday, and I was hooked. The level of joy and energy at that event was addictive. 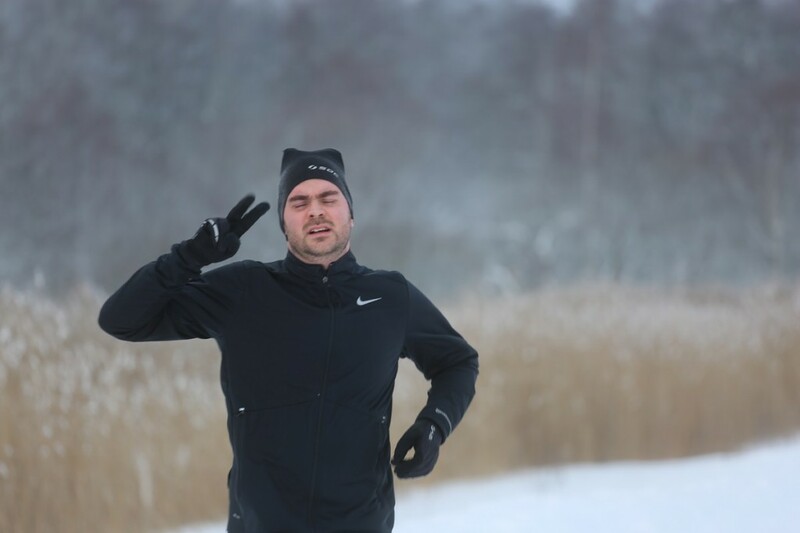 The beauty of the course in Örebro certainly contributed to it (we run in the beautiful Rynningeviken park, surrounded by water, trees, and this time of year, ice and snow) But the level of joy and energy mostly comes, I believe, from the amazing people that I met that day. I can only thank my now dear friend Matt for what he created. You are an inspiration to us all. I was hooked because of two things, in terms of connection with other people. 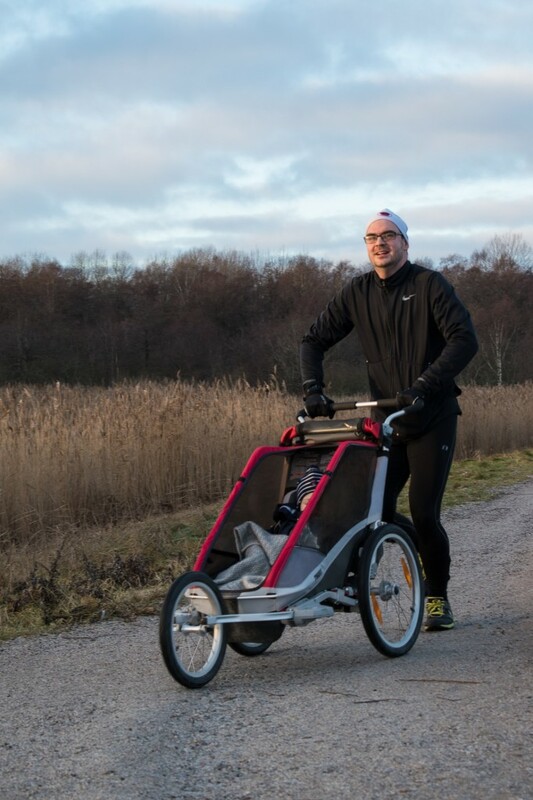 First, as a dad, I am running often with one of my boys in our running stroller. 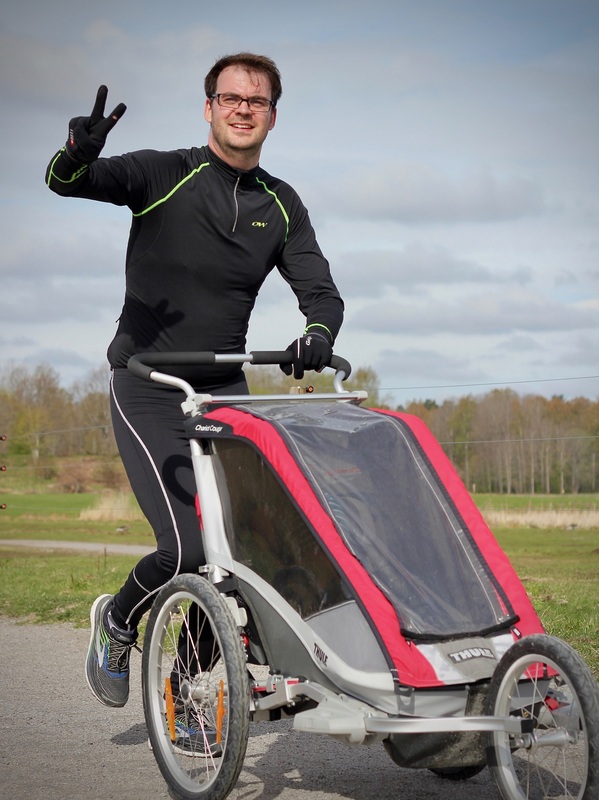 As I showed up on that Saturday morning to participate in my first event, I soon found that there were a couple of other dads participating with their kids in running strollers. One of them was my now good friend (can you see a theme here?!) Johan, and we started to encourage each other every time we would participate. We started to get to know each other, and we now get to enjoy a fika together with our kids when we can after the event. Thank you Johan, Josefin and Lunna for the joy it is to meet you every time we can! I was also able to meet other expatriates, to whom I immediately felt a special connection to. One of them is Matt, who created this event. Matt and I now share a special relationship, as only a Frenchman and a Brit can, with lots of gentle laughing at each other, while deeply understanding the crazy journey we embarked on when we left our home countries. I soon became a volunteer a couple of weeks after my first event, and I got to realise how much I love to encourage other people when they run. I am a much better shouter than timekeeper, as Matt can tell you, but I understand that is just the way I am and I am glad I bring that energy to the event, as I feel this event gives so much to me. 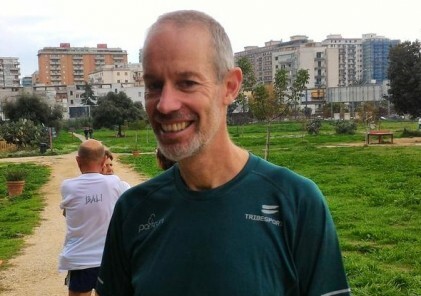 I want to thank fellow parkrunners Nicklas (with whom I can speak French every time I see him, you don’t realise how grateful I am to you for that and how much joy it gives me), Lotta, Viveka, Ulrika, Jimmy, Tony, Lars and all members of this amazing family that we form here at Örebro parkrun. I am forever grateful to you for accepting me as I am, as one of your own.